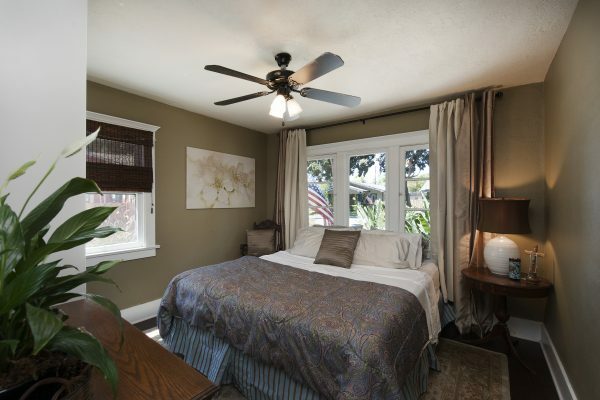 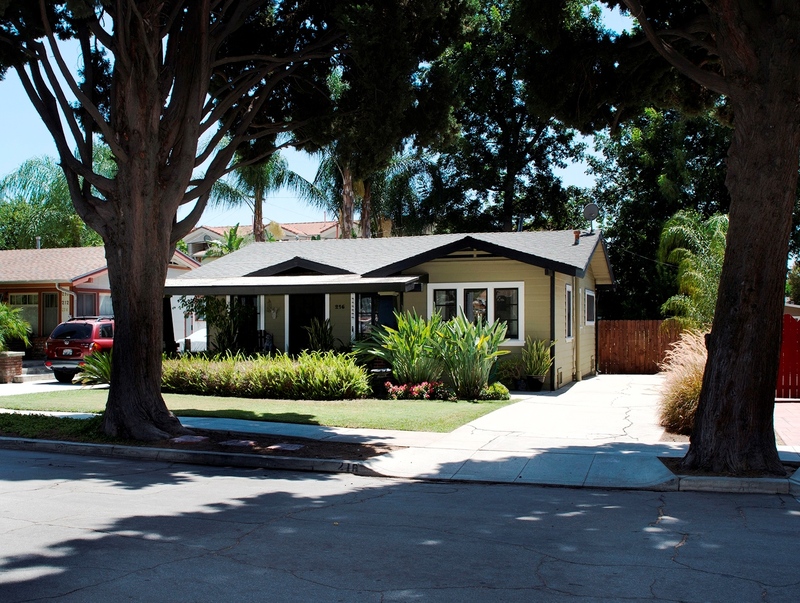 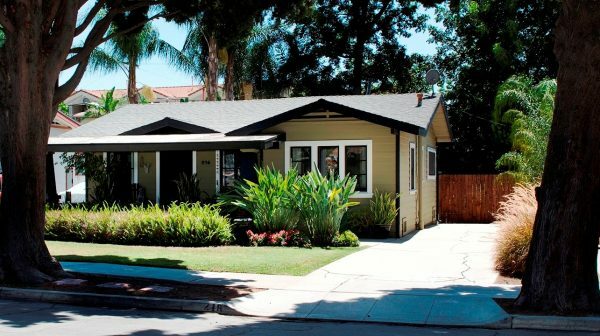 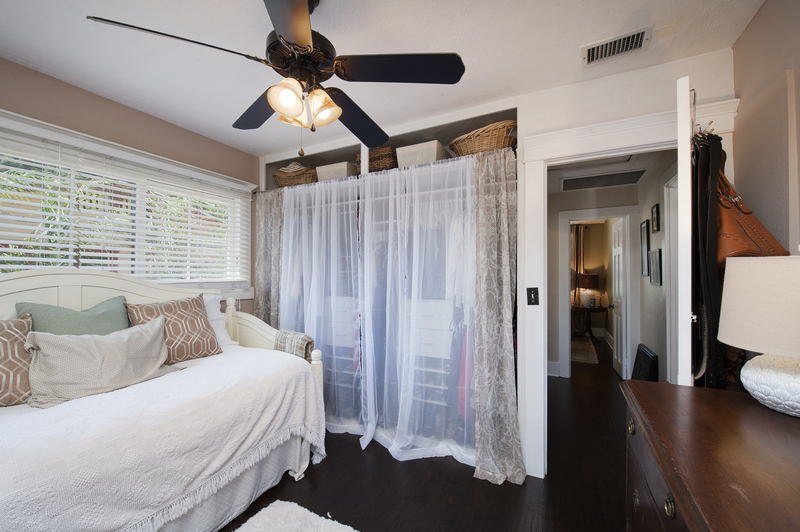 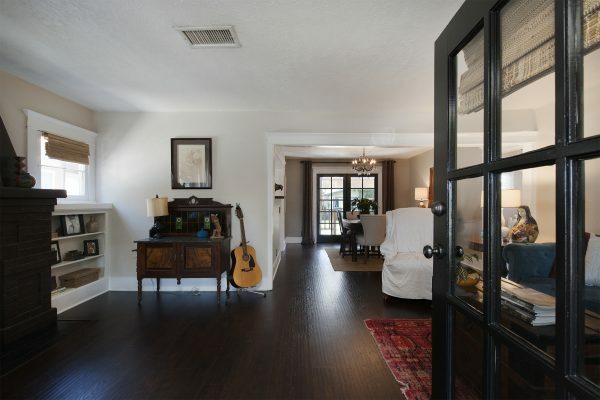 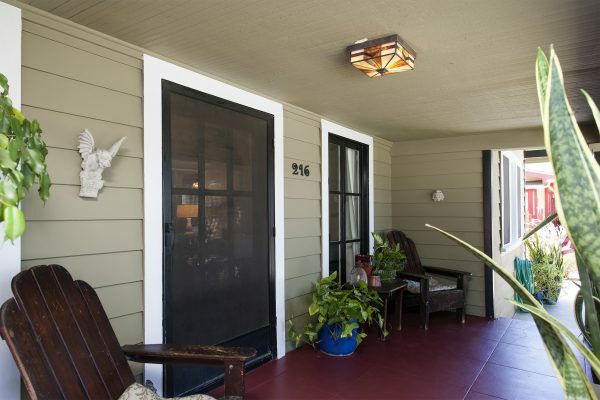 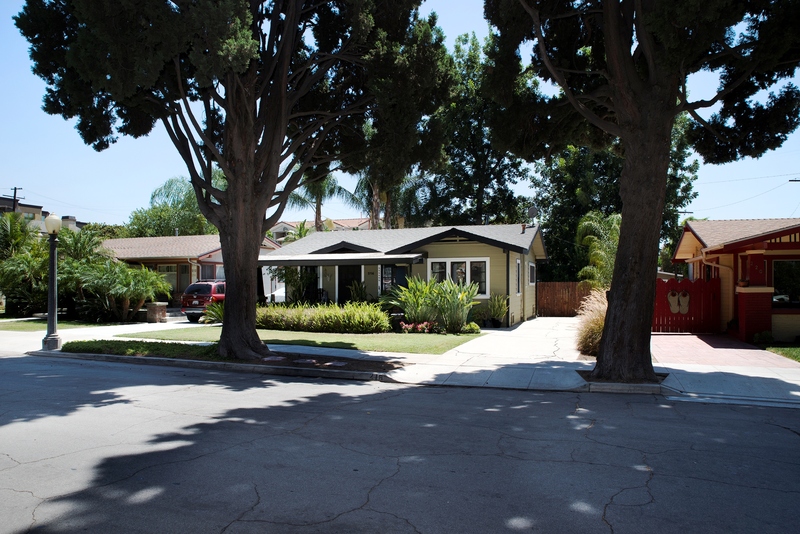 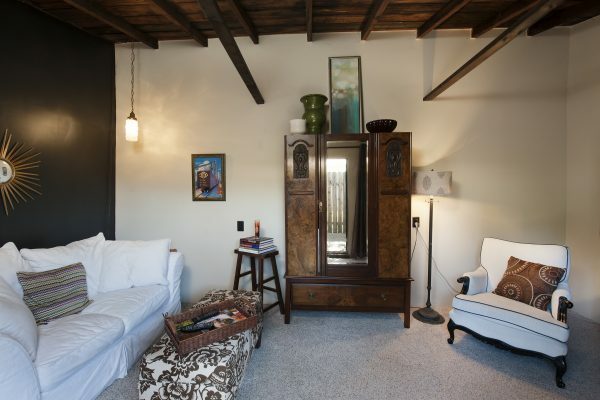 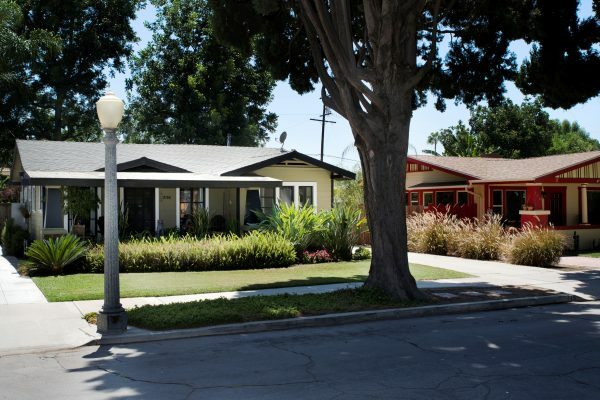 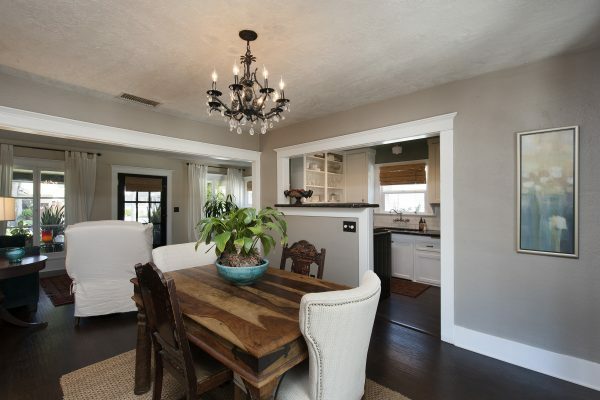 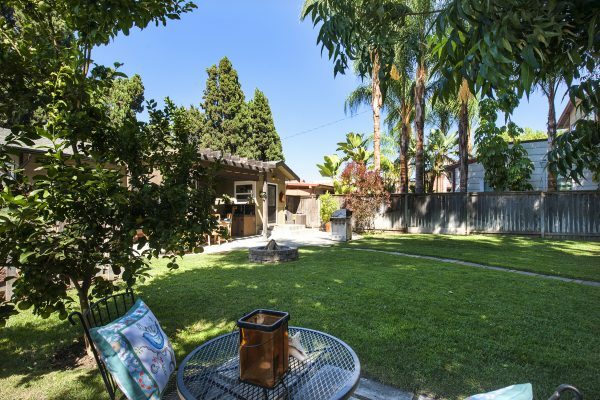 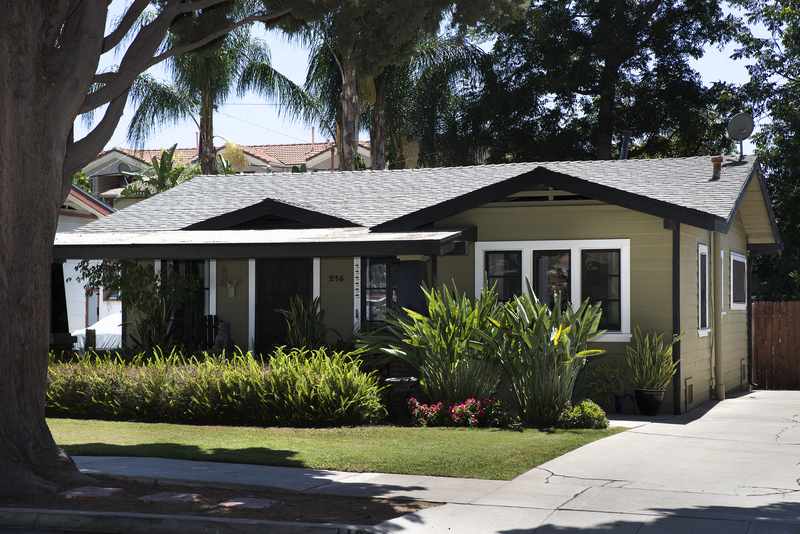 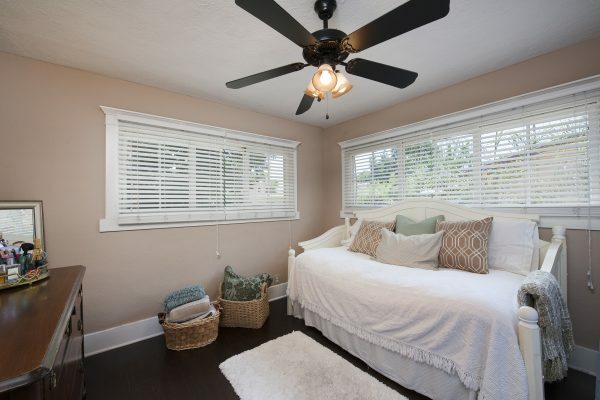 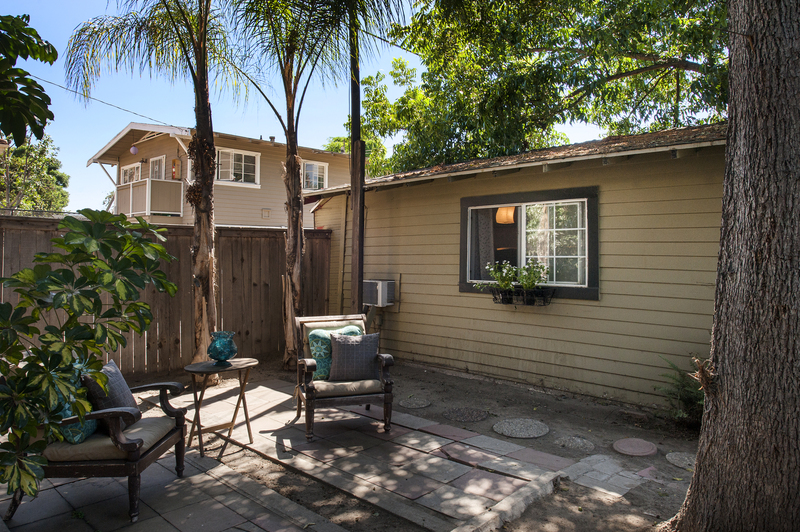 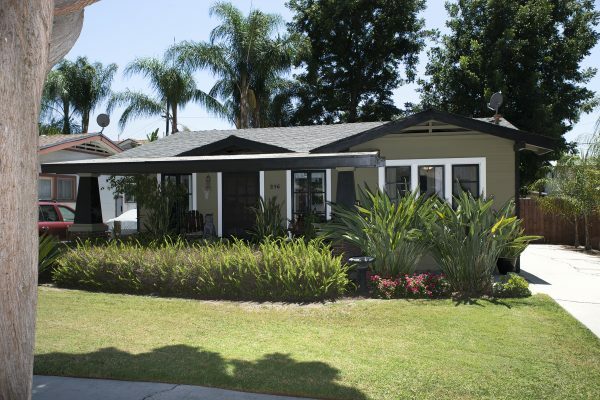 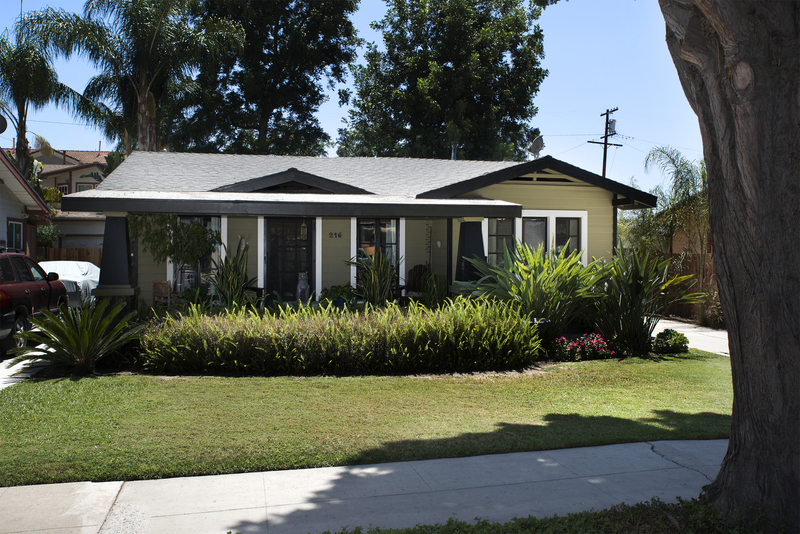 A Piece of Downtown Fullerton History – Charming downtown craftsman bungalow built in 1919 and lovingly updated and cared for by an interior designer. 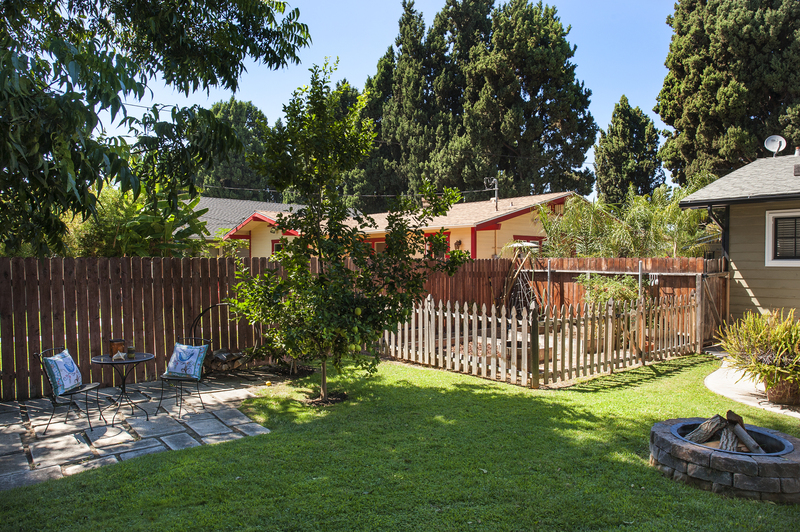 Just steps from all of the arts and entertainment that downtown Fullerton has to offer with the added benefit of an R-2P lot for future rental property opportunities. 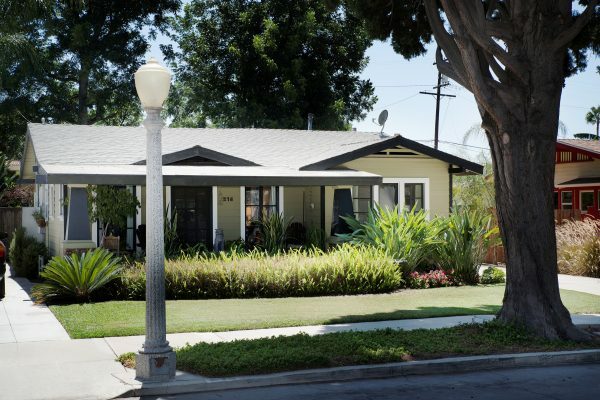 From the moment you are greeted by the welcoming curb appeal this home has to offer with its generous front porch, full landscaping, north facing shaded direction, and tree lined street, you will be hooked. 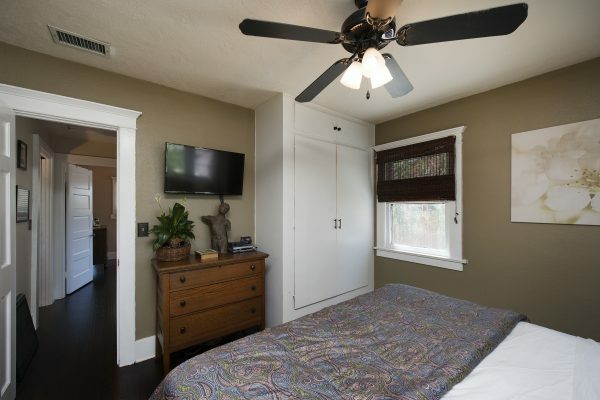 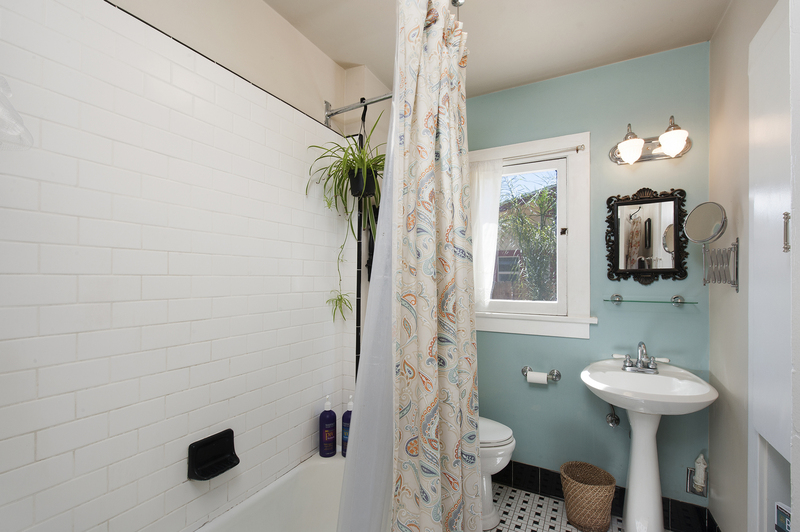 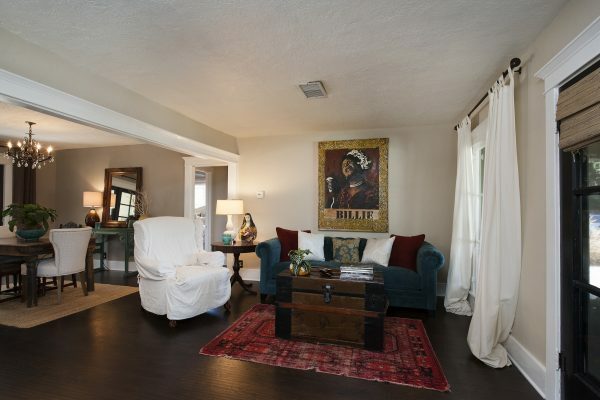 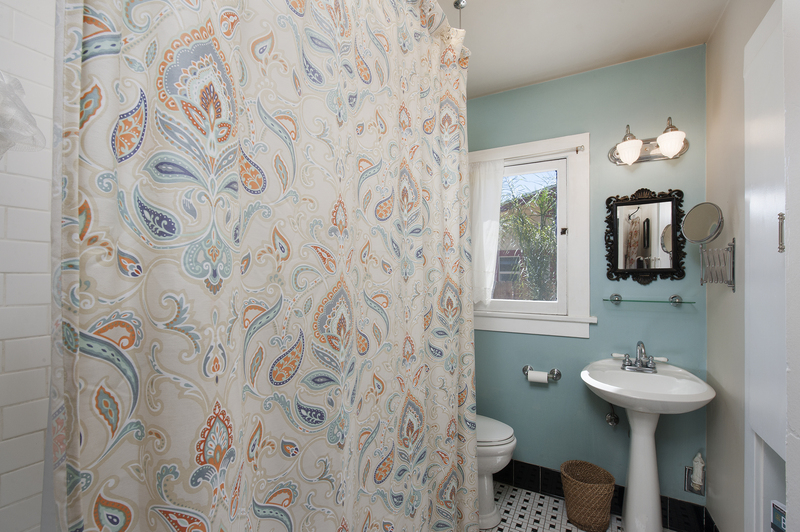 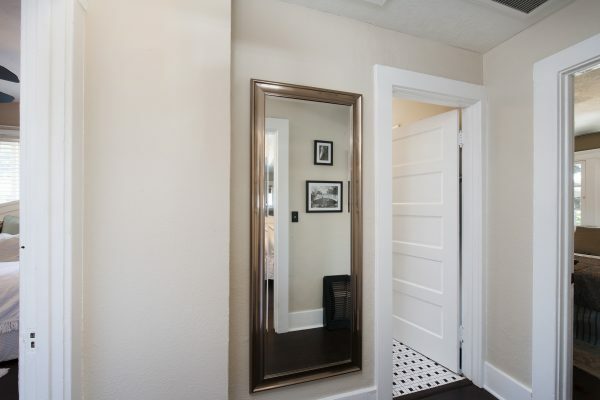 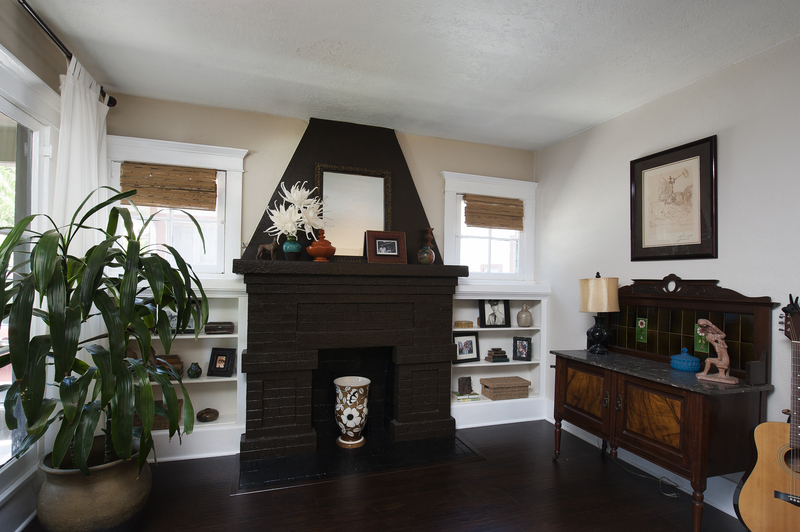 Step inside to see the rich dark wood looking flooring, original door and window casings, original solid wood doors, period faux fire surround with built-in shelving, newer central air and heating unit, updated but period conforming bathroom with all of the charm from the 1920’s. 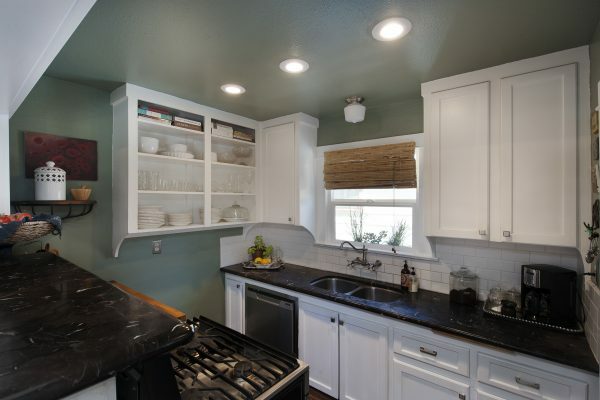 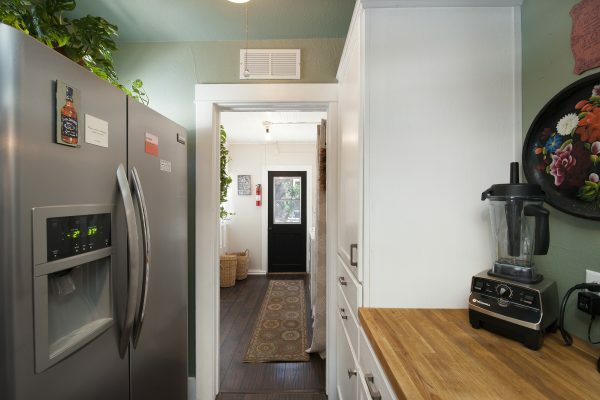 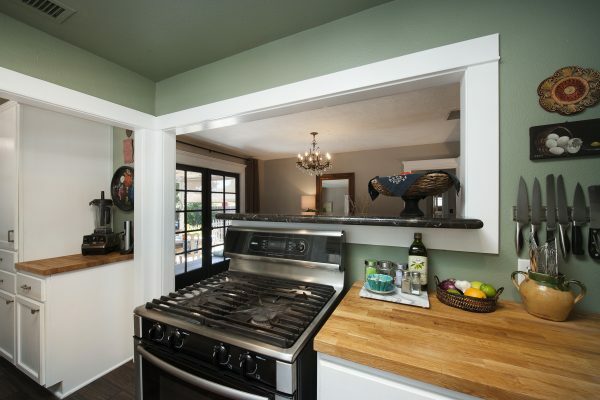 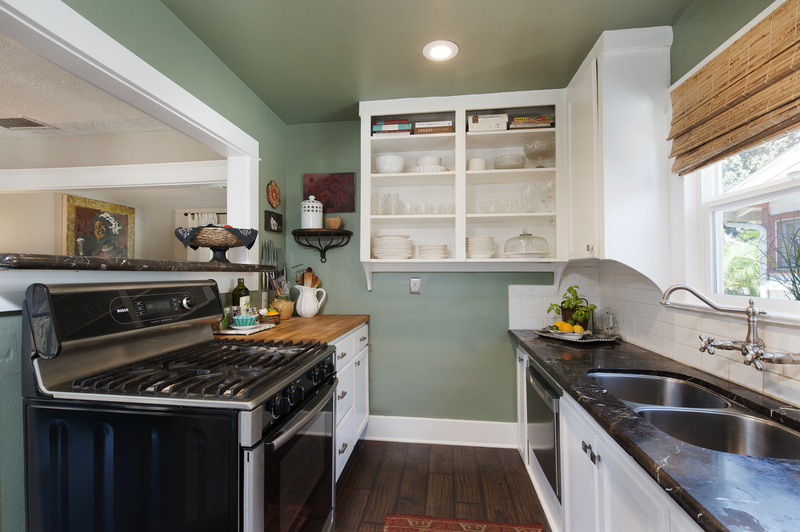 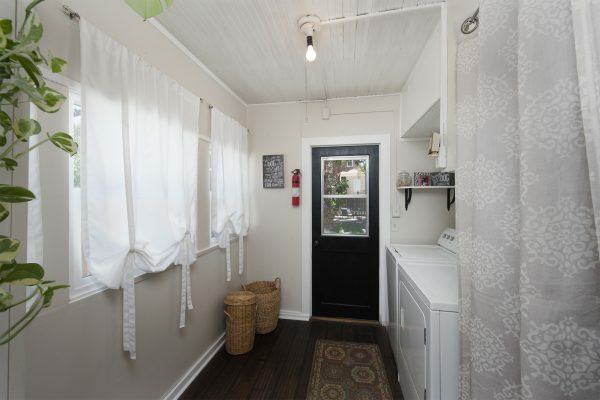 The kitchen has also been updated with new cabinets, marble and butcher block counter tops, stainless steel sink, period style faucet, dishwasher drawer, recessed lighting, and an attached and well-appointed laundry room with a door leading to the back yard. 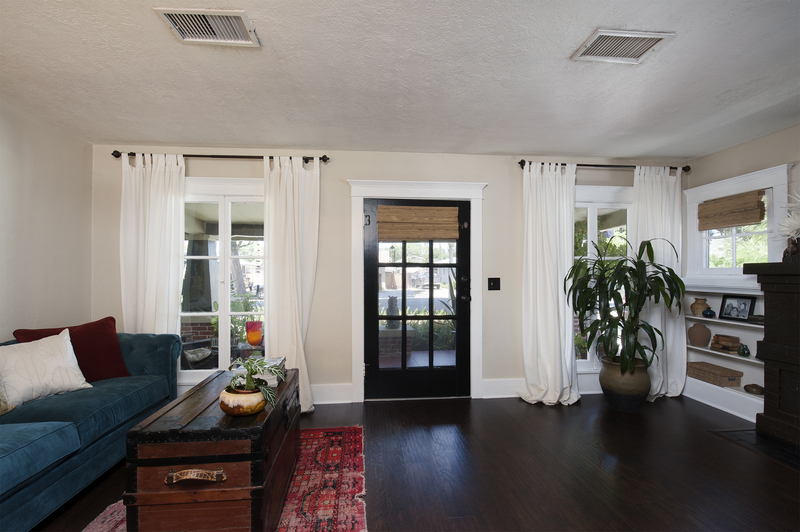 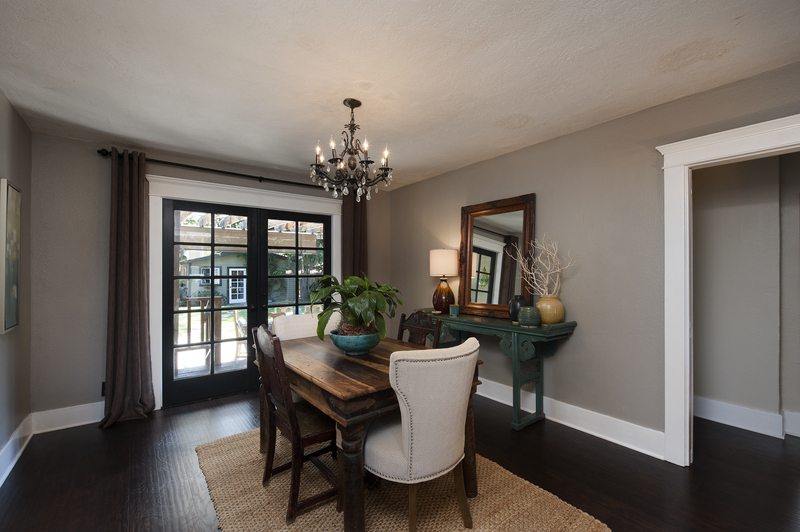 Finally step through the French doors leading from the dining room to the outdoor entertainment area. 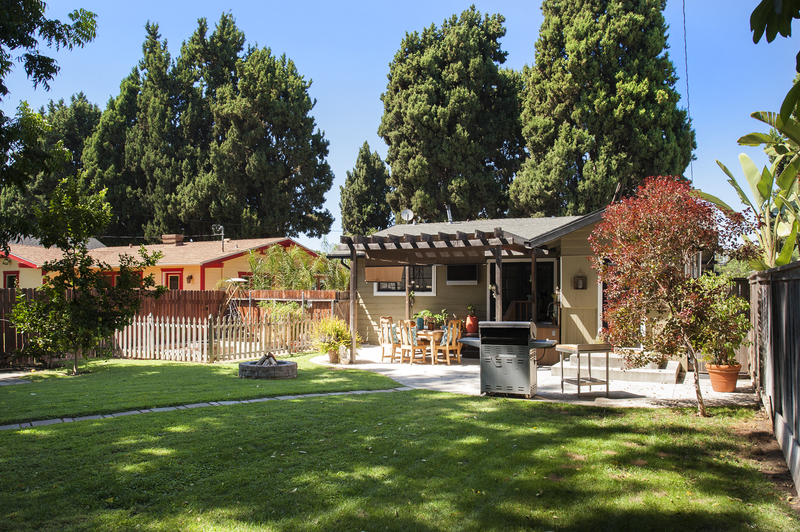 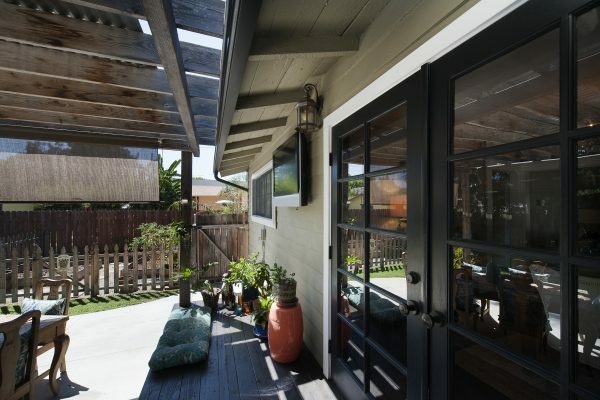 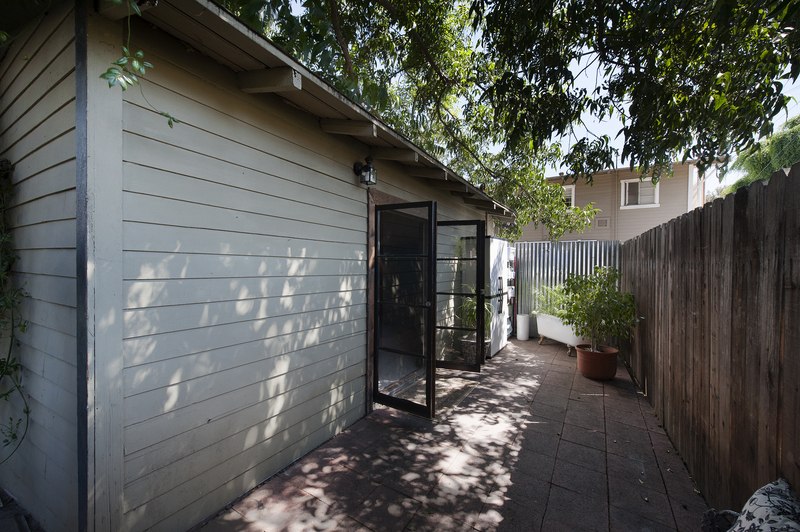 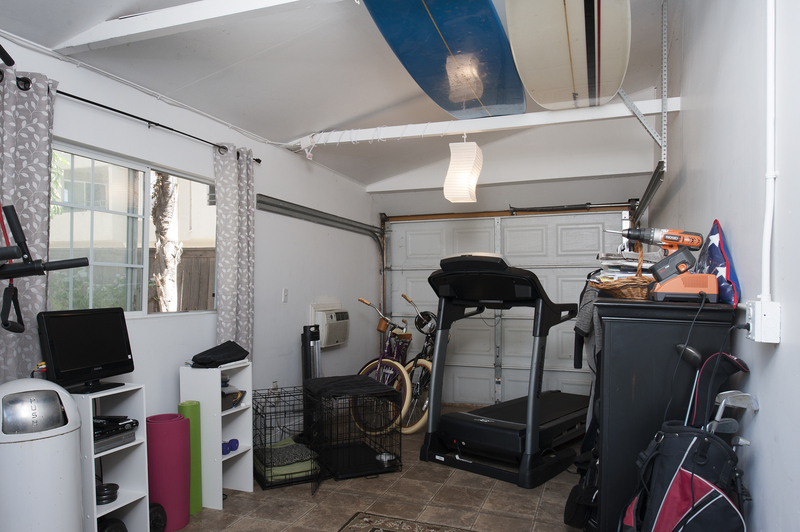 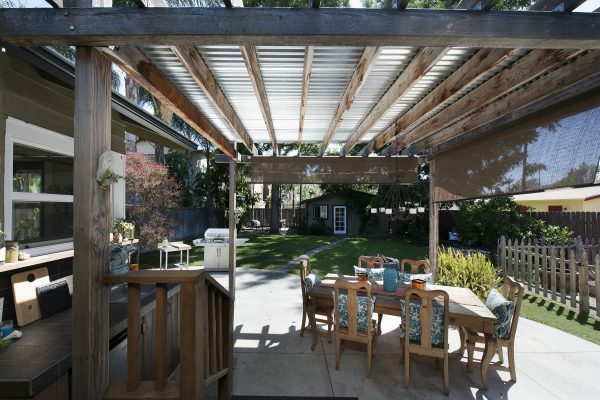 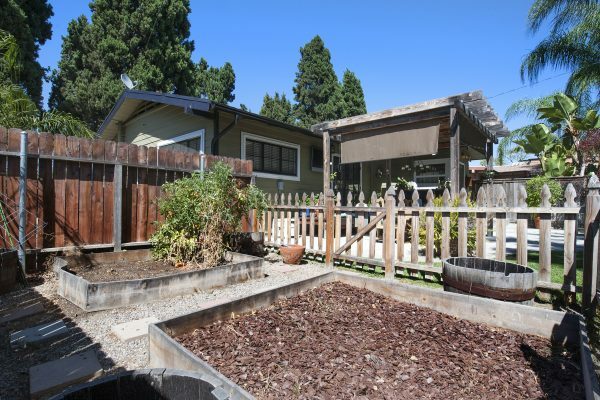 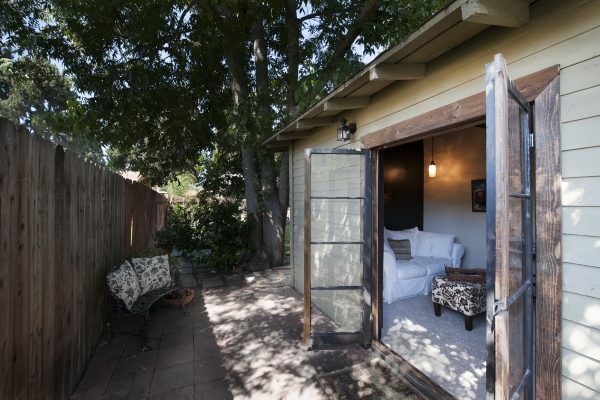 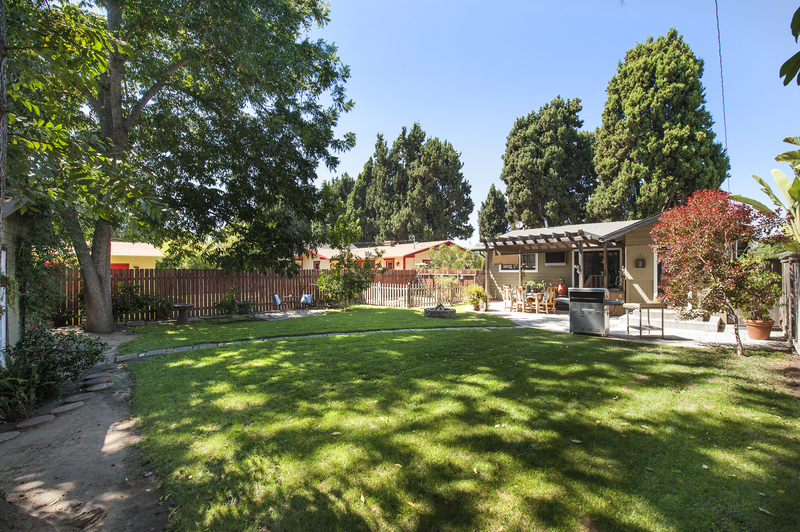 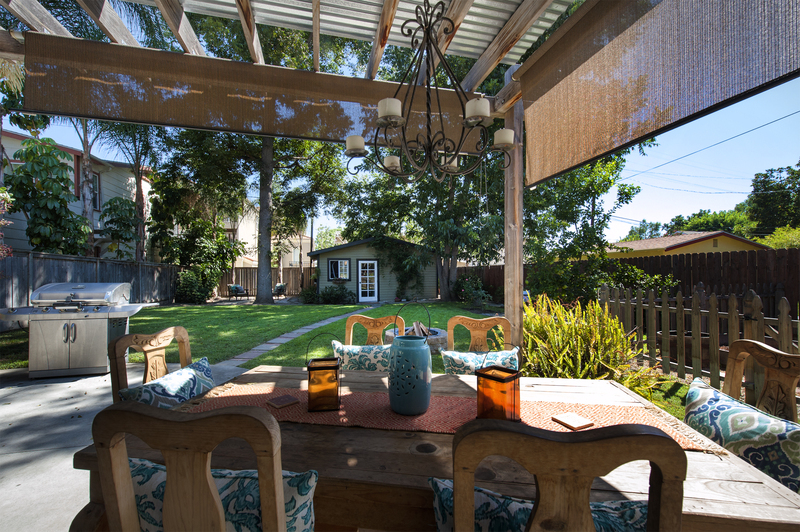 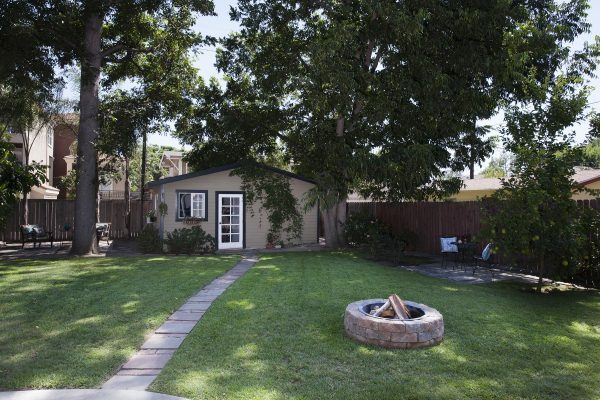 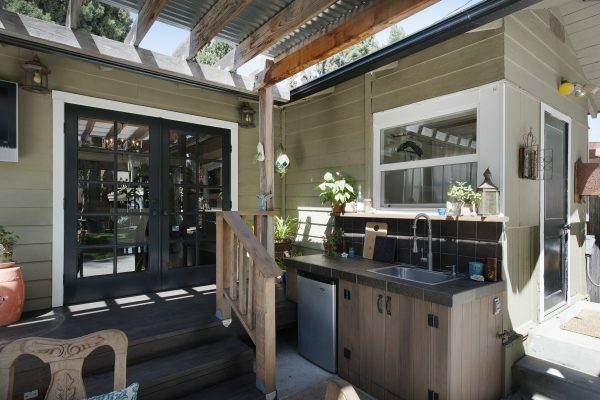 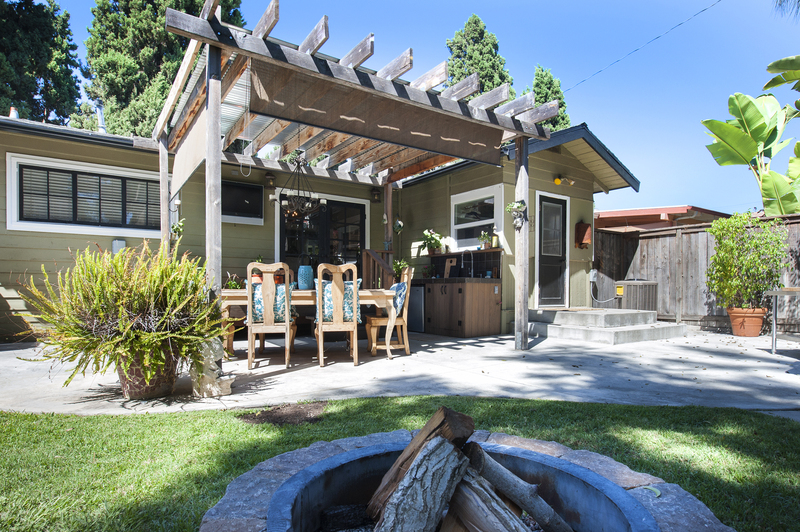 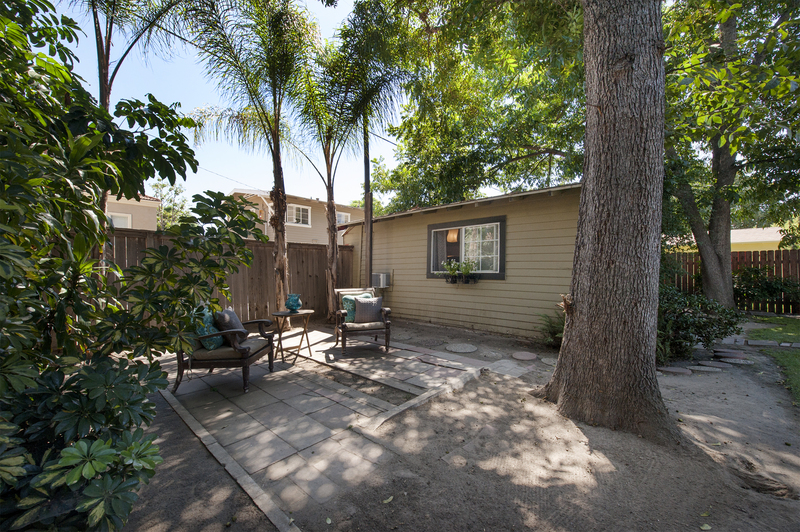 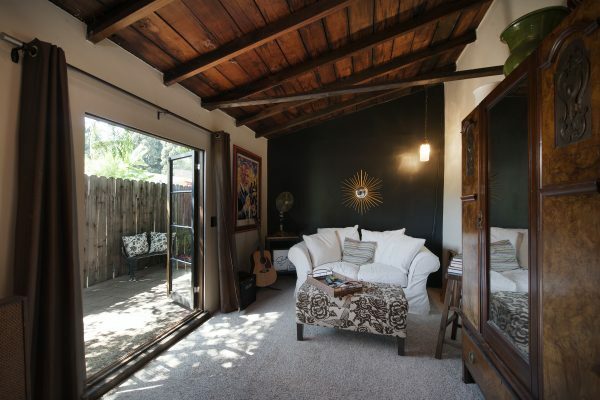 This amazing space includes: Rustic looking pergola and wood deck, large concrete patio, bar area with outdoor sink and refrigerator, fenced garden area, large well shaded yard, fruit trees, possible RV parking, and a two car garage that has been converted into a workout room and artist lounge. 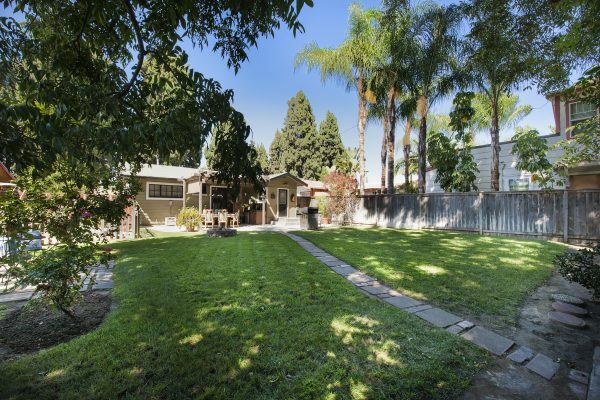 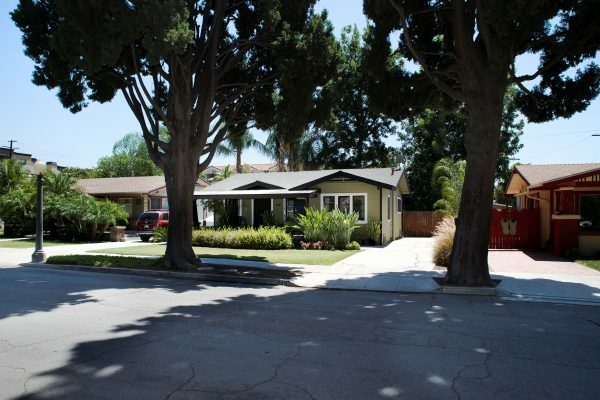 Here is a once in a lifetime opportunity to purchase your dream home in the heart of downtown Fullerton.